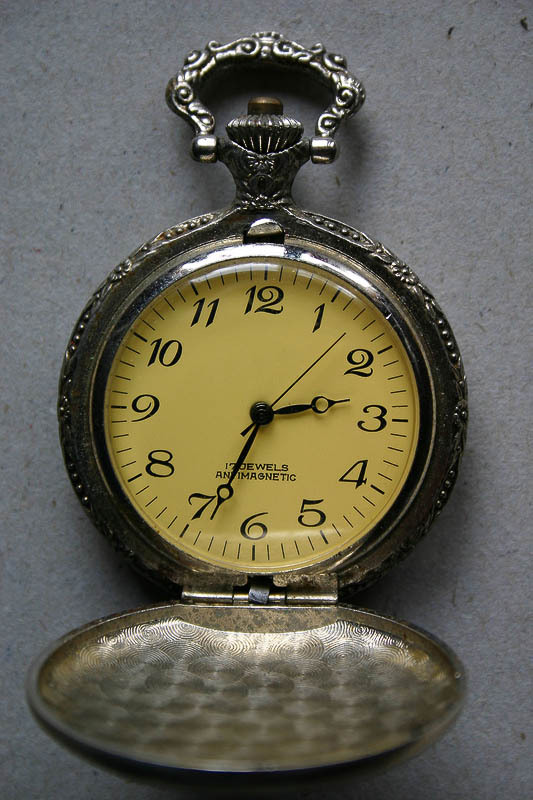 Old metal mechanic watch with cover and ornaments on grey background. Antiquarian craft object. Hand-made article. Vintage clock with dial.